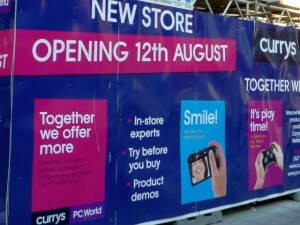 I was curious to read Retail Week’s recent article about the electricals retailer DSGi trialling a small-size dual fascia Currys and PC World store at Bluewater, following its successful introduction of two-in-one megastores in retail park locations such as Leeds, Fulham, Bristol, Hedge End and Merry Hill. 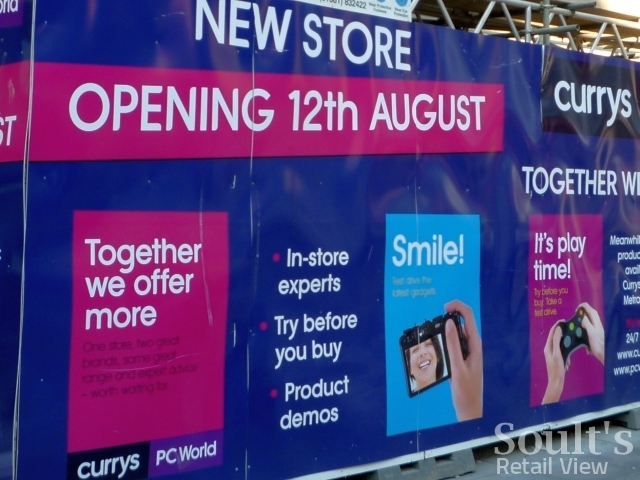 Though not mentioned in the article, anyone walking along Northumberland Street in recent weeks will have noticed that Newcastle city centre is getting a combined high street Currys and PC World too, replacing what was previously Currys.digital and, before that, Dixons. According to the signs on site, the new store is set to open on 12 August, following quite significant renovations to the property. 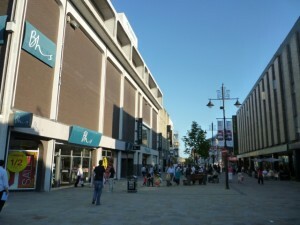 I understand, incidentally, that the first floor of the Currys building – until recently the Hustler Pool Club and Leo’s Restaurant – is to become a branch of Cotswold Outdoor, while Hustler’s and Leo’s will be opening up in new premises elsewhere in the city centre. 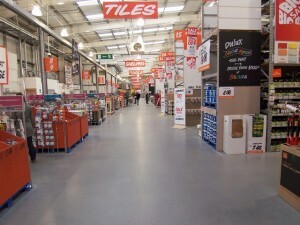 When it says ‘small’, it’s important to recognise that these will still be good sized stores – though more compact than B&Q’s present smallest sites, 35,000 to 40,000 sq ft is still double the floorspace of a typical Clas Ohlson store, one of the retailers with which a homeware-focused city centre B&Q might be expected to compete. 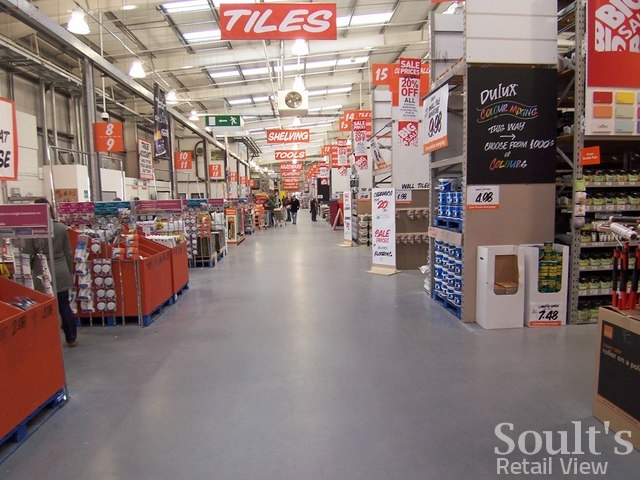 It does open up interesting possibilities for the types of unit that B&Q might bring back into use, particularly if the retailer is prepared to go for premises that occupy more than one level – former department stores, for example. 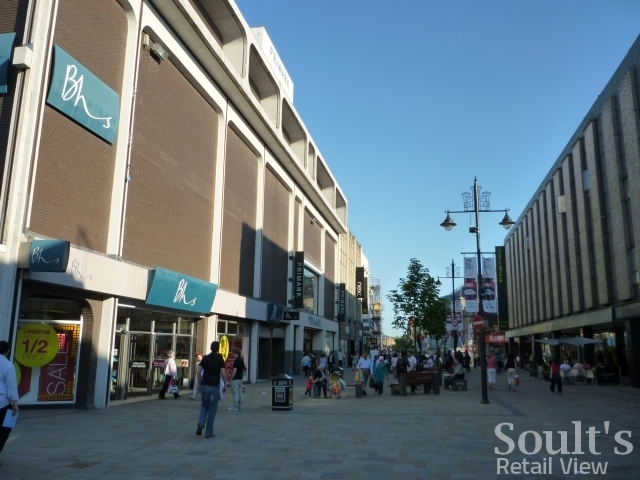 However, with the first new format stores not set to open for 18 months or so, it will still be a little while before we get to see exactly what B&Q’s venture into town and city centres will look like. Next story Alworths lined up for non-Woolies site in Alloa? Hi Beth, Shiggy at SkyscraperCity suggests Eldon Garden (http://www.skyscrapercity.com/showthread.php?p=58867993); Hustler’s own website (http://www.hustlerpoolclub.co.uk/) just says a “new bigger and better venue”, but is yet to reveal where! you’ve made my day! i thought Hustlers had gone for good. any idea where they will be going?